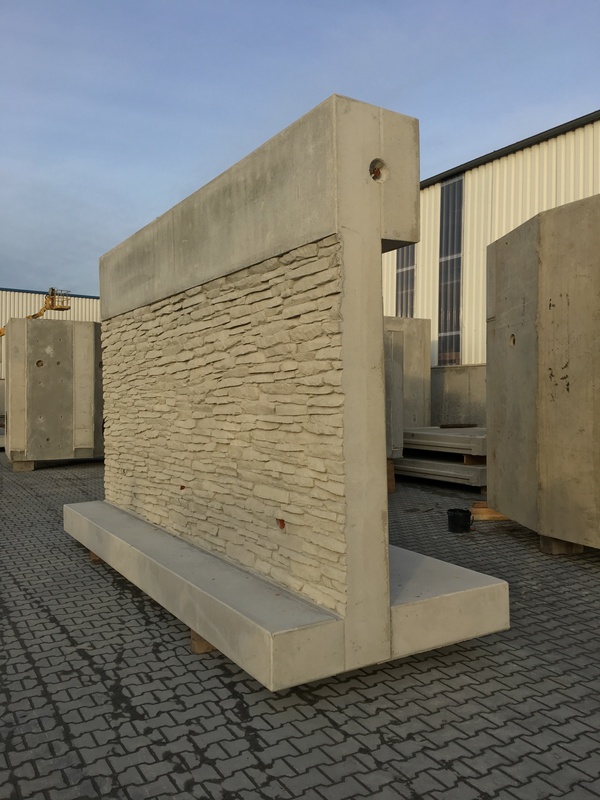 Kleihues is launching a new product division with exposed concrete elements for infrastructure and commercial construction. 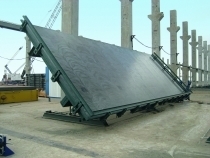 The high-quality tilting tables required for production are supplied by formwork specialist Tecnocom. 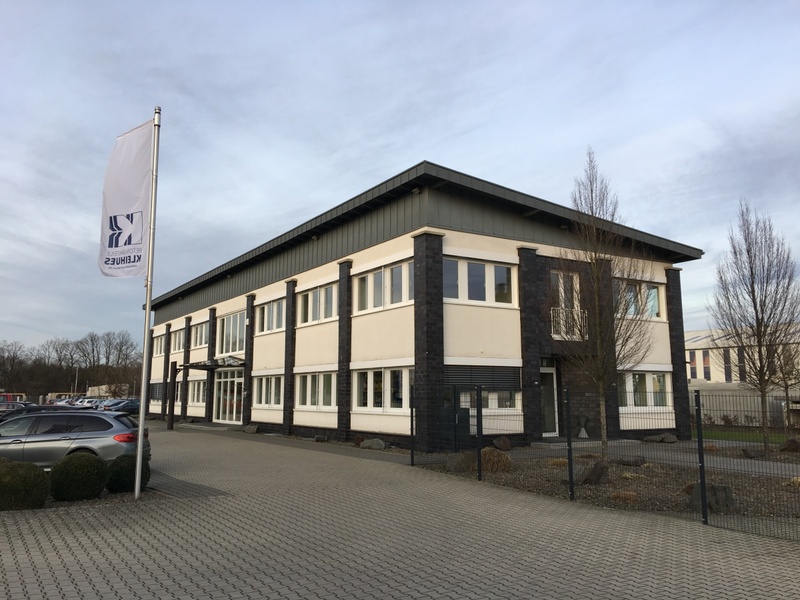 Looking back on over 50 years of successful company history, Emsbüren-based Kleihues Betonbauteile GmbH & Co. KG is a leading specialist on the German market for made-to-measure special concrete elements used in civil engineering. 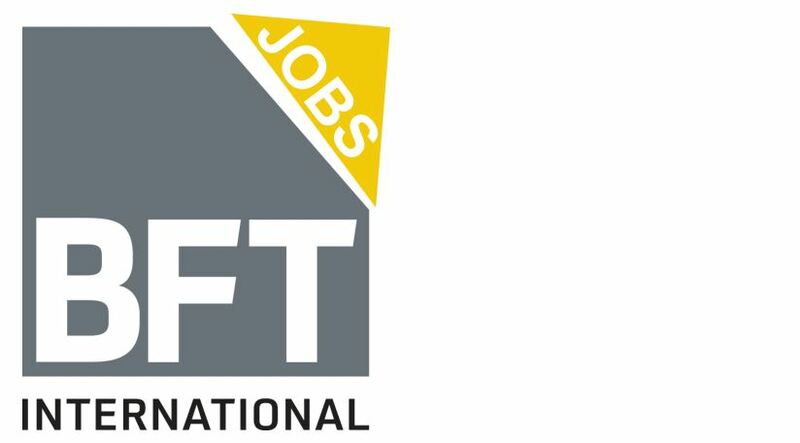 While frame construction, manhole construction and special construction have characterized the company’s image for many years, the successful medium-sized enterprise decided to set up a new product division in 2018: the manufacture of exposed concrete elements for infrastructure and commercial construction. 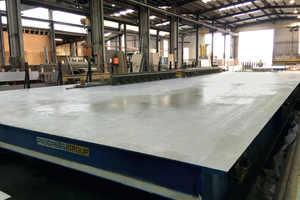 In order to meet the high demands placed on the required manufacturing technology in the form of tilting tables, Kleihues chose formwork specialist Tecnocom, a member of the Progress Group, as technical partner for the implementation of the project. The beginnings of Kleihues Betonteile GmbH & Co. KG go back to Paul Großkopff and his father, Paul Großkopff Sr. After only a short period of activity in the parental coffee-roasting establishment, Großkopff Jr. and Sr. acquired a concrete block factory in Neuenkirchen in 1964. The company initially focused on the production of curbstones and lock-seam pipes by means of manual vibratory compaction. It did not take long, however, for the product portfolio to be expanded to include pipes, frames and manholes. The newly formed company developed rapidly so that, in 1977, the foundation stone was laid for today’s company location in Emsbüren. 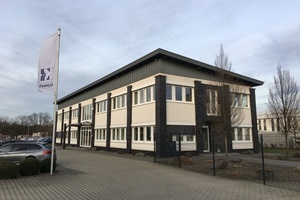 Setting up two additional facilities, a state-of-the-art plant for manhole structures and frames in Oranienbaum near Dessau in 1994, and a plant near Schweinfurt in 2004, the company expanded into the eastern and southern German markets. Today, managed by Dipl.-Ing. 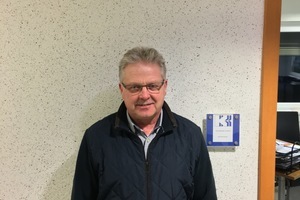 Paul-Martin Großkopff and Oliver Großkopff, Kleihues employs a highly qualified staff of more than 150 at the Emsbüren location and a total staff of more than 250 at the three German locations altogether. The company’s strength is ensured by an extensive range of high-end products which include manhole structures, frame elements, tunnel elements, reinforced-concrete U-channels, and exposed concrete elements for both infrastructure and commercial construction. Manhole structures connect pipes and provide access to the infrastructure. 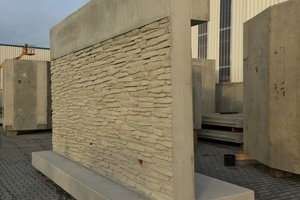 Frame elements made of reinforced concrete are used, for example, in detention basins for rainwater, service water and waste water, but also in pedestrian and bicycle tunnels. Tunnel elements of rectangular and trapezoidal cross-sections are used as intersection structures under traffic routes. Reinforced-concrete U-channels of any given size are used for gutters, service ducts and bridge structures. Frame construction accounts for approx. 40%, manhole construction for about 20%, and special construction for approx. 40% of the product portfolio. Kleihues is the only manufacturer offering solutions for some non-standard products on the German market. Kleihues is a respected supplier not only on the German market. High product standards and special solutions have enabled the company to create a name for itself also on the European market: Kleihues supplies its products to the Netherlands, Denmark, Luxemburg, France and Switzerland – usually within a shipping radius of 250 to 300 km. “Once we even succeeded in completing a project in Brazil,” says Drente with some pride. 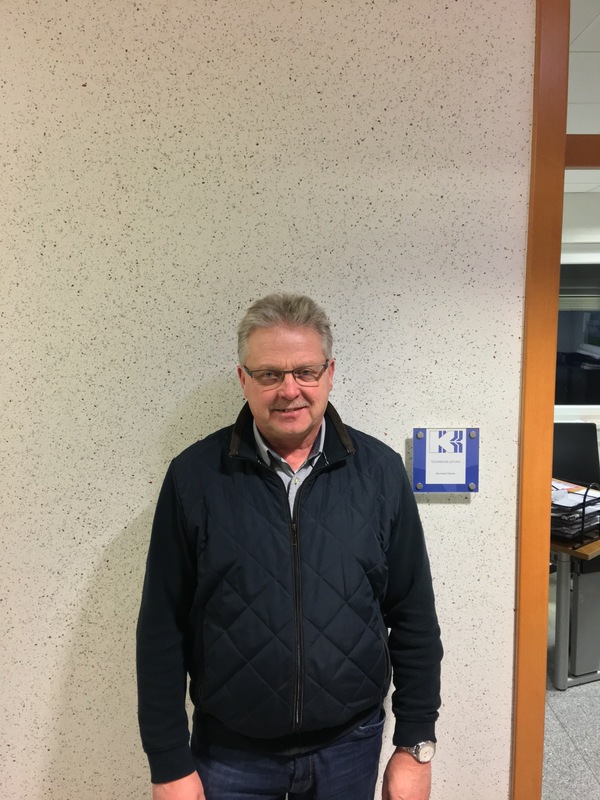 He has been with the company for over 40 years. 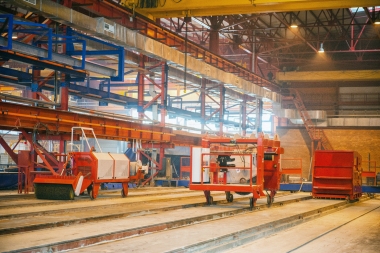 At the beginning of 2018, Kleihues decided to start producing exposed concrete at the company’s Emsbüren location. The decision was made against the backdrop of a major order from the Netherlands, which ultimately provided the required critical mass and signaled the launch of a new product division. Functional aspects take precedence in most cases when building with precast concrete elements. Structural integrity, tightness and durability are the factors that designers need to give priority to. It goes without saying that in civil engineering – with structures that, for the most part, are built below ground – such aspects are more important than esthetic requirements. 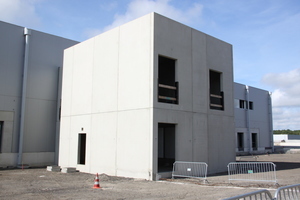 If precast concrete elements are installed so as to extend above ground level, however, and are highly visible due to their location, esthetic aspects come into play to an ever-increasing extent in addition to the technical requirements placed on the structural elements. The solution offered by Kleihues for important projects: textured formliners in natural-stone look. “Thanks to intelligently designed textured formliners, the precast concrete elements bear a striking resemblance to natural stones and thus contribute significantly to enhancing the appearance of both the product and its later application environment,” explains Drente. Implementing such challenges in the context of special projects both in the infrastructure sector and in commercial construction has resulted in a new field of activity for Kleihues. 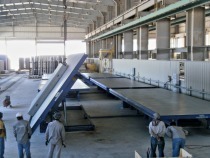 In order to meet the high demands placed on the required manufacturing technology in the form of tilting tables, Kleihues chose formwork specialist Tecnocom, a member of the Progress Group and leading supplier of machines and solutions for the precast concrete industry, as technical partner for the implementation of the project. 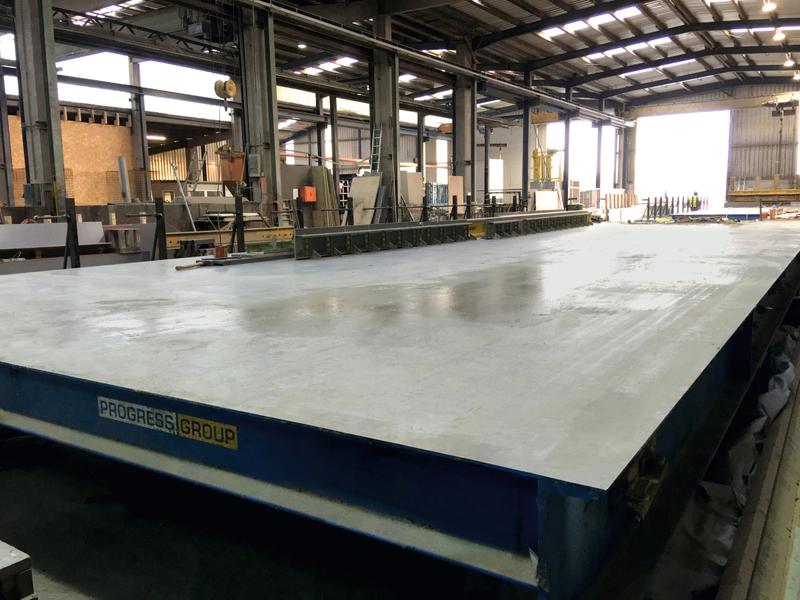 Four tilting tables were supplied, assembled and put into operation at the Emsbüren location in just two months. 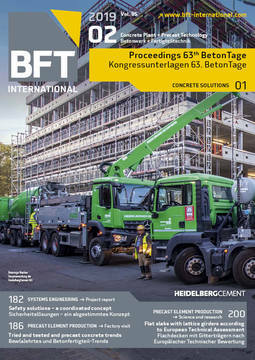 In setting up the new exposed concrete production, Kleihues Betonbauteile GmbH & Co. KG has proven yet again how continuous further development can be implemented successfully even after more than five decades of successful company history. From a small number of initial products marketed some decades ago, the company has continuously expanded its product portfolio without neglecting the increasing customer demand for technical advice and services. It was thus possible to set up a new field of activity, serving to further strengthen and diversify the company, within an extremely short period of time and in cooperation with a strong technology partner such as the Progress Group.